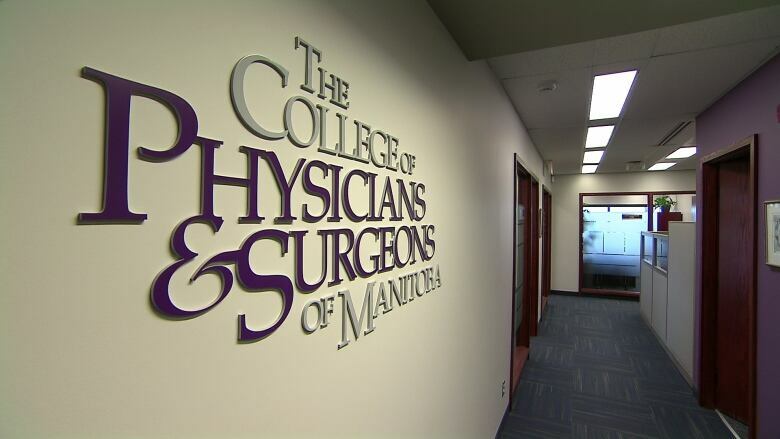 Manitoba's chiropractors are suing the regulatory body of the province's doctors over comments about a spinal procedure that they say are offside, inaccurate and violate a longstanding agreement to work together. Manitoba's chiropractors are suing the regulatory body of the province's doctors over comments about a spinal procedure — comments the association says are offside, inaccurate and violate a longstanding agreement to work together. The Manitoba Chiropractors Association filed a statement of claim with the province's Court of Queen's Bench last week against the College of Physicians and Surgeons of Manitoba. The suit hinges on an agreement made between the two organizations in March 2003, following previous defamation suits in 1997 and 1998. "The agreement of 2003 accepted the legitimacy of the practice of chiropractic and agreed never again to take a contrary position," the association claims in its suit. The agreement requires the two organizations "to enter into co-educational activities and to refrain from criticisms by each institution of the other," according to the statement of claim. The association says a 2016 letter, written by College of Physicians and Surgeons registrar Dr. Anna Ziomek to the Manitoba Health Professions Advisory Council — which advises the health minister on the regulation of Manitoba's health professions — violates that agreement. Ziomek's comments to the council sought to challenge the legitimacy of chiropractic care, the association's suit says. A portion of Ziomek's letter is quoted in the suit. In it, she raises concerns about a chiropractic treatment. The portion of the letter quoted in the suit doesn't specify which treatment Ziomek was referring to. The college told CBC News it could not comment on the lawsuit, but indicated the letter was in relation to a report on high-neck manipulation prepared for the province's health minister. "The resulting clinical conditions [from the treatment] can be quite serious and life threatening," the portion of the letter quoted in the lawsuit says. Ziomek lists a variety of adverse effects from the treatment, including tearing of arteries which can lead to strokes, "as well as lesser adverse effects such as tiredness, dizziness, nausea, ringing in the ears, etc." The suit also quotes part of the letter that expresses the college's reservations about an association proposal that would see spinal manipulation procedures reserved for chiropractors. "The [college] believes the onus should be on the Chiropractors Association to demonstrate scientifically the safety and efficacy of this particular treatment," the letter said, according to the statement of claim. "The onus should be on the chiropractors to approach all procedures with the same scientific rigor as is required for medical treatments … in order to ensure patient safety, especially when the consequences of the risks are so profound and include quadriplegia and death," the letter is quoted as saying. The suit calls those comments "entirely offside" and "both inaccurate and more fundamentally, a complete violation and repudiation and retraction of the  agreement." The statement of claim said chiropractic practice is legislated by the province and is "scientifically accepted and established." None of the allegations in the lawsuit have been proven in court. The statement of claim said that when the association became aware of the letter, a meeting was held with Ziomek in October 2018 — nearly two years after the letter was written. The association says Ziomek took issue with the fact the letter was made public, because it was intended to be confidential, but that she refused to withdraw the remarks. It's asking the court to force the college to comply with the agreement, and to award financial damages. The college said the memorandum of understanding between the two groups is confidential. However, the suit includes a joint statement from the college and the association, which outlines the objectives of a liaison committee between the two organizations. The two groups have been at odds with each other over regulation and oversight, as well as some recent claims by chiropractors that the practice can treat autism, Alzheimer's disease, and some forms of cancer. The two professional bodies have agreed "to establish a collaborative, co-educational relationship for the betterment of both professions and their patients," according to the chiropractors association, which said it wouldn't comment further while the matter is before the courts. The 2003 agreement, it alleges in its suit, required the liaison committee to meet once a year to discuss issues of concern, with an objective of furthering education between the groups. The suit claims that an agreement to work on continued education between the two bodies "has become entirely ignored" by the college. Have a story idea or tip? Email holly.caruk@cbc.ca.